Since it was established in 1979, our Chapter has played a vital role in providing industry information and training to our members. Through this website, members can find out the latest news with the Chapter. Presented by: Ed Williams - OmegaFlex, Inc. Please check your SPAM filters if you are not receiving email notifications for monthly dinner meetings! Check out the April Newsletter Here! This event consistently sells out FAST year after year, so be sure to get your reservation in ASAP! The Philadelphia Chapter of the American Society of Plumbing Engineers is excited to announce our 20thBiennial Plumbing & Fire Protection Product Exposition and Technical Symposium. There will be over 74 table-top display booths representing over 150 different plumbing and fire protection products. This is an excellent opportunity to see the latest products and technology, to ask the manufacturer’s representative’s questions regarding the products we specify update catalog information and renew acquaintances. Our Chapter will also be offering two (2) 1-hour seminars starting at 1PM in which attendees will be credited with PDH’s. This is important for those with CIPE and/or CPD designations or any other professional registration requiring Professional Development Hours. 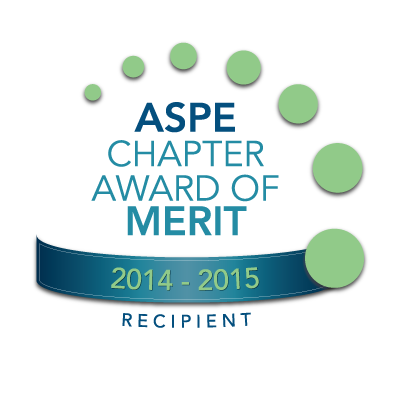 The Philadelphia ASHRAE Chapter will also join us and will be offering (2) 1-hour seminars as well. Please visit the ASHRAE web site for further registration on the Mechanical topics. The Product Exposition will be held at the Clarion Hotel and Conference Center (formerly Ramada Inn) located on the Industrial Highway (Route 291) in Essington, Pennsylvania. This is just south of the Philadelphia International Airport, off Routes 95 and 420. Parking is available at the front entrance to the Clarion. There is no charge for parking. The exposition floor will be open from 11:00 AM until 6:00 PM, food and beverages will be served on the product show floor. Again this year we are going to raffle off many door prizes like TV’s, Lap top, dinner certificates, and much more but you need to visit vendor booths and be present to win. If you have not registered on our website (registration link coming soon!) please fill out the Admission Ticket when you arrive for the exposition so we will know who you are and will add you to our data base for future events.